Does Wilberforce do this with every new pair of shoes? That sounds terrible. It's even worse because there's a lightning bolt on the side of the shoes. 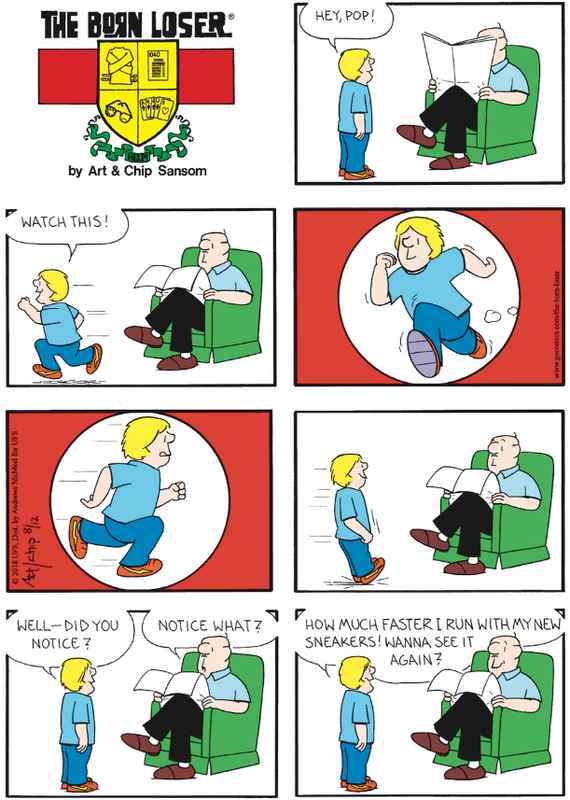 I'm also confused why Chip made Brutus' expression say "Sorry about my son, he's kind of a moron" instead keeping with the "Why are you interrupting my newspaper time?" face. I'm working on a lot of stuff--some will pop up over the next few months and some will begin next year. If you would like to support LAMNB, my writing, or my research, you can buy me a cup of coffee on Ko-Fi.